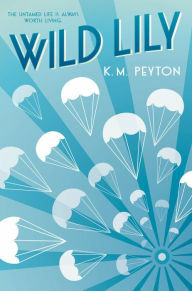 Antony is a spoiled idle rich boy in 1920s England, who gets anything he wants, including an airplane of his own. Lily can’t help but idolize him. She’s far too young and from a lower class than him, so anything serious is off-limits. But Antony can’t help but be amused by her devotion, and the power it gives him over her. She's willing to do anything he asks. When, chasing after a whim, he can't find a friend to parachute out of his plane, she overcomes all of her fears and agrees to do so. But Antony’s carefree life is about to come to an abrupt end. And when it does, and friends drift away, only Lily remains. While initially focused on the Roaring Twenties, the novel traces Lily’s (and Antony's) life through the decades, where she never stops adoring her Antony. The overall theme is of how Lily is rewarded with a good life, even while Antony's falls into decline. However, her limitless devotion seemed to me to ultimately be her undoing as well. Billed as a coming-of-age story and shelved with the teen literature, this novel is really misclassified. While a story of two people who never quite outgrow their childish fantasies, it is really about adults who look back at those years as the best of their wasted lives The characters are hardly worthy of the attention. Antony is self-centered and shallow, and we never get much reason to sympathize with Lily's love for him. I kept waiting for Lily to really spread her wings, but Peyton shows no interest in how Lily might actually grow out of childhood (although apparently she does since she marries and raises a family without Antony). Peyton herself comments that she felt Antony had wasted his life, which is hardly the thing to say to make us care about him (or to understand Lily’s behavior). The way the story jumps through the adult years, one wonders if in fact it is the author who finds that the characters' nostalgia is the only thing of value to discuss. I kept hoping for some great lesson or wonderful moment to rise out of this, but the story never delivers. Slow paced, with unsympathetic characters, and no great lessons to impart, this is a grave disappointment.